“ ''As I journeyed through the foggy veils that demarcate the realms of this place, I saw that, for the first time, I was not alone. Something traversed these forgotten byways, its bright colors still clearly visible, even through the muting effect of the mist that roiled between us. As we emerged into a new, yet somehow familiar, place, I saw it clearly for the first time: a carney's caravan, pulled by something that appeared to be a horse but was, to my eyes, older and more terrible. I watched from the trees as a crack appeared at the doorway and a warm, golden light spilled forth into this desolate place. The effect was, I suspect, deliberately inviting, but the figure that emerged was anything but: its costume a hodge-podge of ringmaster, clown and other fairground attire. Its face was a nightmare in greasepaint, a caricature of a smile slashed across its flabby lips. At its waist were a collection of what looked for all the world like fingers. But what creature would be so monstrous as to collect such trophies? 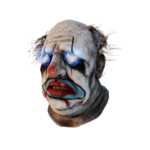 Kenneth "Jeffrey Hawk" Chase or "The Clown" is one of 15 Killers currently featured in Dead by Daylight . 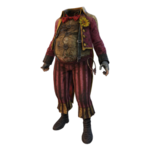 He was introduced as the Killer of CHAPTER VIII: Curtain Call, a Chapter DLC released on 12 June 2018. 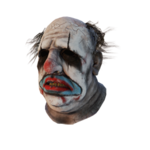 The Clown is a strategic Killer, able to control and corral Survivors by throwing bottles of The Afterpiece Tonic to create clouds of noxious gas that cover large areas for a short amount of time. 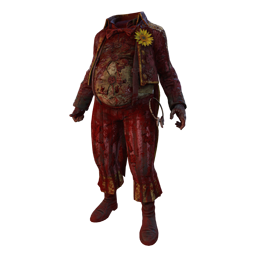 Survivors intoxicated by the gas are inflicted with impaired vision and movement speed, and give away their location by coughing loudly. 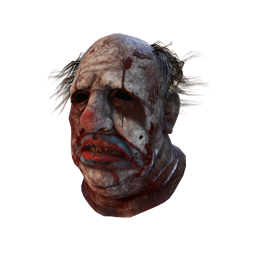 His personal Perks, Bamboozle , Coulrophobia & Pop Goes The Weasel , provide vaulting advantages and negatively impact Survivor Healing speed and Repairs. 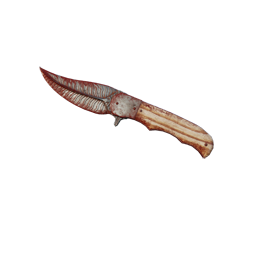 He has a surprising agility for a man of his size, along with a terrifying appearance and the ability to sabotage the Survivor's efforts. Kenneth Chase was born in 1932 by a difficult labour, which his mother wouldn't survive. This event drove a rift between him and his father that never closed. As the boy grew, so did his father's resentment, and his drinking habit. By the time Kenneth was at school, they lived mostly separate lives. Academically, he was unremarkable, coasting by on his significant athletic prowess. He grew tall and strong, excelling at track events, but shunned any attempts to coax him into team sports. On his walk home from school, he would often find feathers on the ground and he soon began a collection, keeping them in a cigar box under his bed. With his father either at work or in an alcohol-induced stupor, Kenneth had hours to spend alone, transfixed by the regularity of the feathers' barbs and the feeling of softness as he ran them over his lips. Watching the birds that came to the feeder in his garden, he imagined how soft they must be and resolved to catch one. He ingratiated himself with the local dentist, soon procuring some anaesthetic. Using this, he rigged up a trap on the feeder, that he hoped would knock out a bird long enough that he could touch it. After a few failed attempts, he managed to trap a robin. As it lay in his hand, he felt a sudden rush, of a life at his mercy. He had planned to release it once it recovered from the anaesthetic. Instead, as its eyes flickered back into consciousness and it began to struggle, his grip remained firm. His fingers slowly tightened around its throat, squeezing until its chest feathers were finally still. 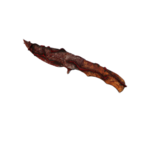 He disposed of the body, keeping just a feather, with which he started a new collection, discarding the others as "fake". By the late 1940s, Kenneth had left school and started working as a busboy at a local diner. He had also escalated to larger prey, like squirrels, raccoons and dogs, becoming skilled at customising the anaesthetic dosage for each. In early 1954, a young man went missing and the town was turned upside down in the search. A few months later, Kenneth's father, while doing some work in the crawlspace under the house, found a cigar box. He broke it open and saw, to his horror, that it contained feathers, animal paws, and a man's finger. Returning from work, Kenneth saw his father leaving the crawlspace with a cigar box in his hands. He turned on his heel and never went home again. After a few weeks of living rough, he encountered a travelling circus and, with his prodigious strength, was hired to work the ropes. He assumed a new name: Jeffrey Hawk. Suddenly surrounded by a close-knit community, "Jeffrey" had to learn to socialise. He donned a new personality like a disguise, quickly becoming known as charming and helpful, and was welcomed into his new family. Over the next decade, he stayed with the circus, travelling the length and breadth of the United States. But, with the itinerant life providing few repercussions, he fell into bad habits. Drinks, junk food, drugs, he indulged in all of them to excess. For a time, these vices were enough, but then his old urges returned and his nomadic existence became a cover for him to resume killing. He stole clothes and make-up from performers, fashioning a disguise that would let him get close to his victims before he anaesthetised them, bringing them back to his caravan, where they would awake to find themselves bound and at his mercy. He would finally get to have his fun, mentally and physically torturing them, their screams fuelling him, before being lost in the night. Once their strength was at its lowest, he would carefully examine their fingers, searching for the prettiest, running them over his tongue to find the tastiest. 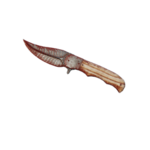 Once he found the best, he would cut it from their hand and proudly add it to his collection, disposing of the rest of the body as pointless waste. Men, women, young, old, he didn't care. The essence of a good collection is in the variety, in the memories and stories they evoke. He removed the costume less and less, shedding his old personality with it, fully embracing the clown, his true self. With time, he became complacent and sloppy. A victim managed to work free of her bindings while he was sleeping off the drink. She escaped, screaming for help, and he awoke to find the rest of the circus bearing down on him. He whipped his horse and the caravan disappeared into the night. Since then he has roamed the country, a parasite who could always be found at a carnival or circus, but who would never be seen on any playbill. He lured those brave, or foolish enough, to come near, trapped them and moved on before they could be found missing. Somewhere along the way, he left the ordinary roads of the United States behind him, travelling through a veil of mist and entering a new realm. It was a place of transience and impermanence, perfectly suiting the life he had chosen to lead. Feeling more at home than he had in his entire life, he set up camp and waited for his first visitor. 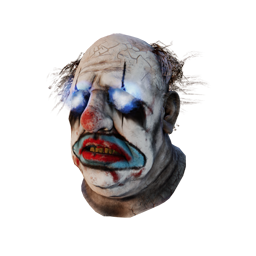 Once obtained, other Killers will be able to find The Clown's Perks in their respective Bloodwebs from that point onwards. 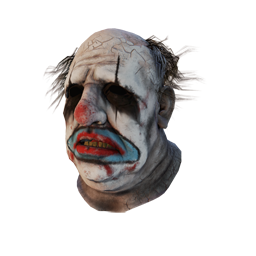 There are currently 2 Achievements related to The Clown. Players may customise their Character by choosing one outfit style from each category. Blood-stained attire is obtained after The Clown reaches Level 50 and prestiges. 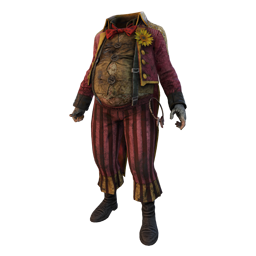 The horse pulling The Clown's caravan is named "Maurice" and already accompanied him before they entered The Entity's Realm, he is not one of its creations. 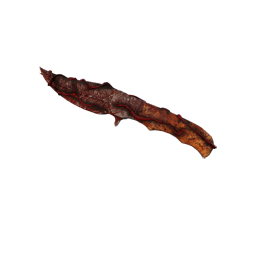 It was partially burnt by The Entity and as Maurice is blind, it granted him a new, third eye. 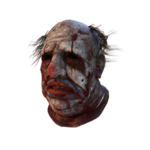 The Clown is one of only two Killers featuring a range of facial expressions, though to a far lesser degree than The Spirit who received a unique facial rig with a much wider range of expressions. His Power is also referred to as "Gas Bomb" in the Game files. Some WIP names were "The Ringmaster" or "The Medicine Man".